Twitching Tongues from Los Angeles, California have signed with Metal Blade Records for the release of their highly-anticipated third full-length album, which will serve as the follow up to 2013’s In Love There is No Law. The record will be tracked this May, and will be self-produced and recorded entirely at the band’s own LA studio, The Pit. The album is tentatively scheduled for a fall 2015 release date. New music, art, and additional details will be made available as they are completed. 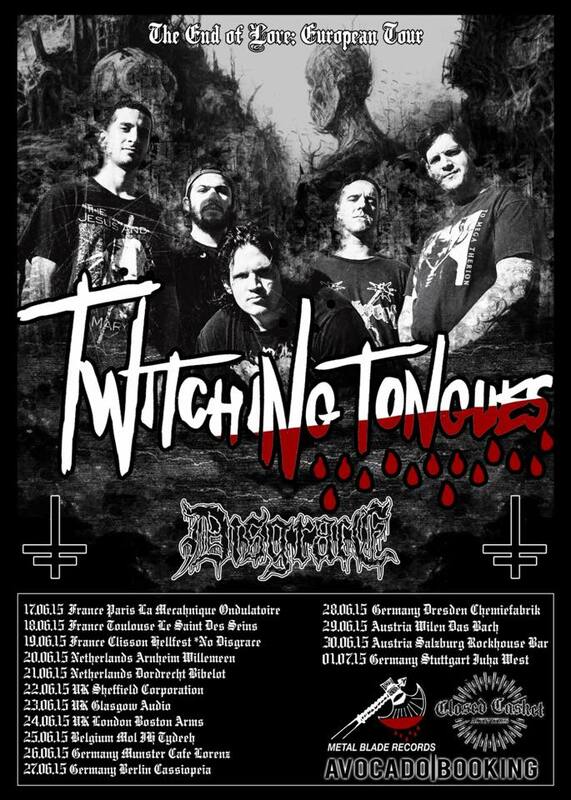 Immediately following tracking, the band will be touring Europe along with Disgrace. Tags: Album, Bandcamp, Disgrace, Europe, European Tour, Facebook, Full Length, LP, Metal Blade Record, Record, Signing, Tour, Twitching Tongues. Bookmark the permalink.